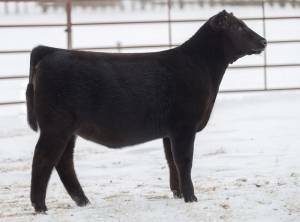 Bootlegger is an extremely stout, massive, heavy muscled son of Brilliance who is impeccably made with excellent testicular development. His disposition along with the eye appeal, style and balance has lead him to be a many time Champion for Logan Wright. 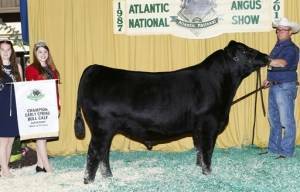 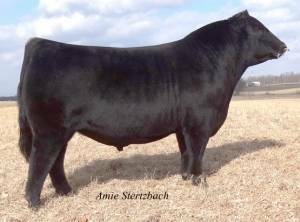 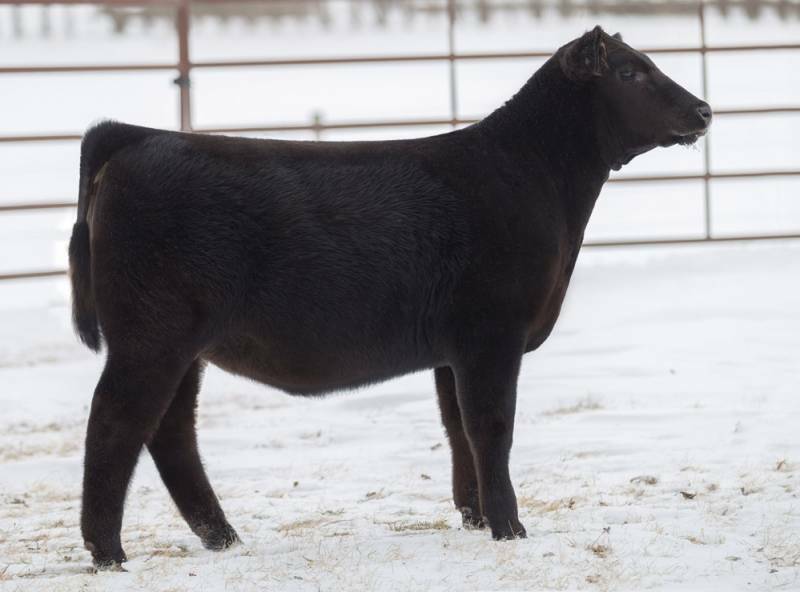 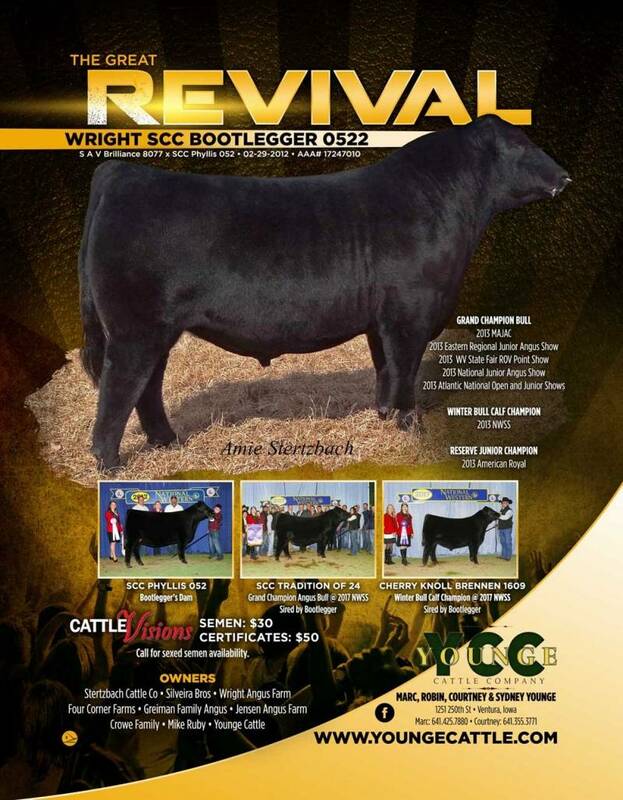 This is one sire you do not want to miss out on for your next calving season. 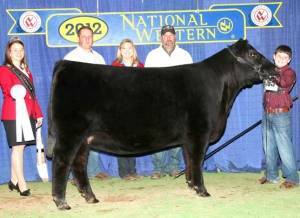 Great calving ease with babies that have the show ring look!